YOU Could Win “The Concert For US” Tickets Just By Helping The Open Shelter! – The Open Shelter, Inc.
YOU Could Win “The Concert For US” Tickets Just By Helping The Open Shelter! 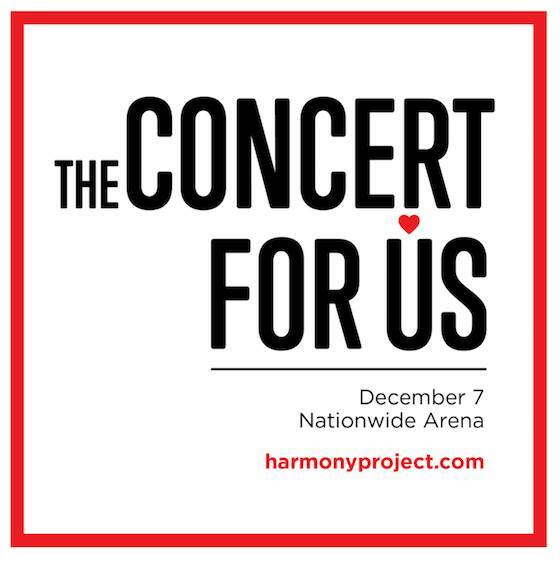 “Harmony Project Presents: The Concert For US” will be held at Nationwide Arena on Dec. 7 at 7:30pm. Special guest host Jane Pauley of CBS Sunday Morning will emcee. The music will be familiar, inspiring, thought-provoking, and entertaining–from recent hits to classic chart-toppers. Featuring a 30-piece band and orchestra, and 1,000 voices, the stars of the show are local volunteers–your friends, family members, neighbors and co-workers. We are raffling off two great seats for only $5! Donate your $5 HERE & write “Harmony” in the special instructions. We will draw a winner on Tuesday, November 28th! See more about The Harmony Project HERE.